If you’re having trouble with accessories, checking the connections may resolve the problem. Learn how to troubleshoot accessories issues by checking the connections. Note Before you start, make sure the power supply is firmly connected and working properly. Turn off the console, and unplug the power supply. 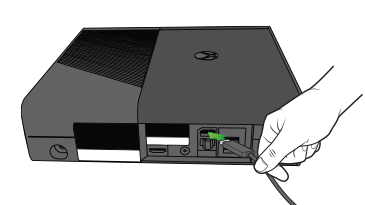 Unplug all the accessories that are connected to the front or the back of the console, including the Kinect sensor and all other USB devices. Do not remove the hard drive. Reconnect the power supply, and then turn on the console. If the power button light is red after reconnecting a specific accessory, it indicates the accessory is faulty and should be replaced. If you cannot determine that a specific accessory is causing the problem, there might be a problem with your hard drive. See Troubleshoot Xbox 360 Hard Drives. Would you like to contact Support regarding the "Check the connections for your Xbox 360 accessories" issue you were reading about or a different issue?